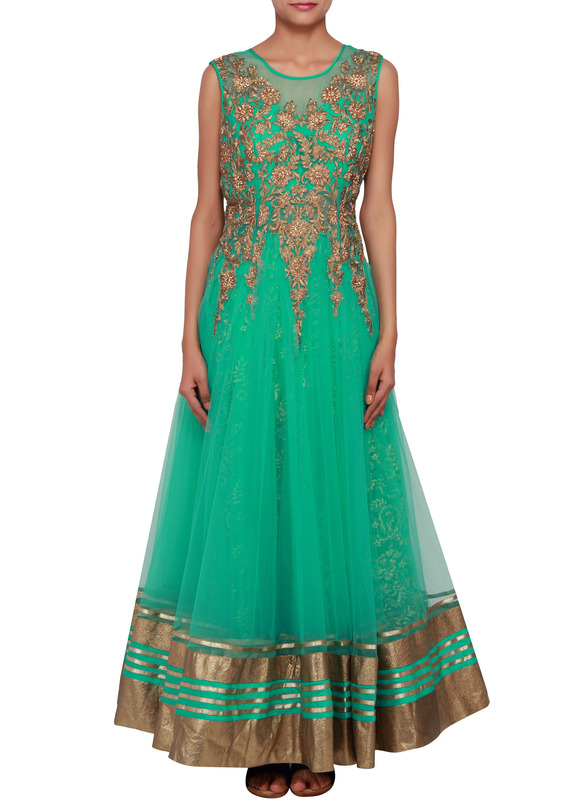 Featuring a mint net anarkali embellished in gold zari and kundan work. 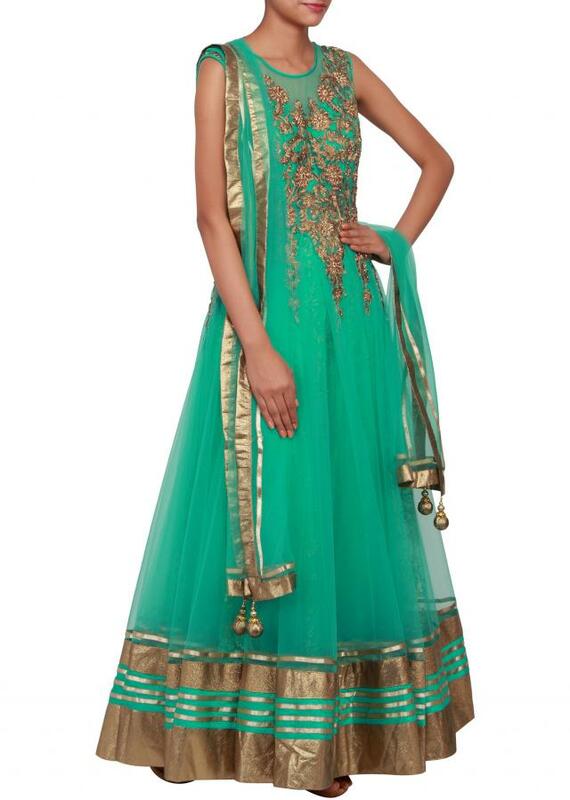 It has a mint and gold chantling net lining. 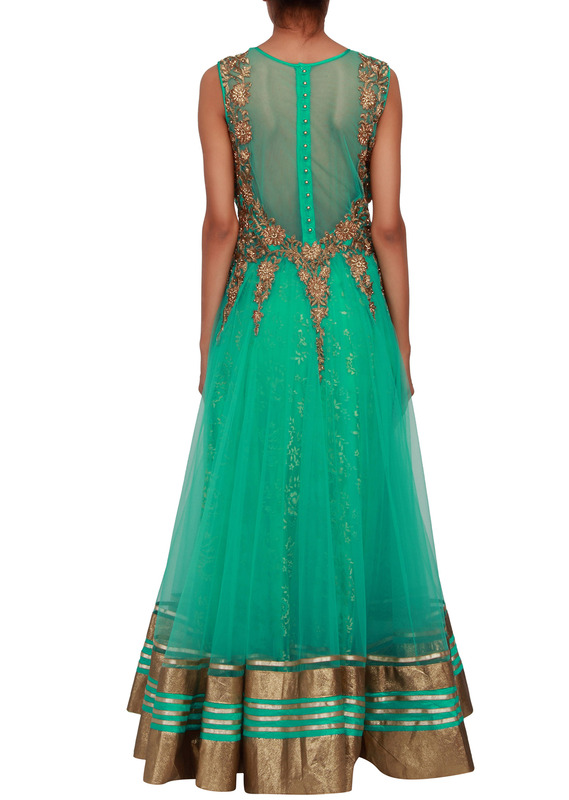 The back is in net with opening till waist. The neckline is round and it is sleeveless. 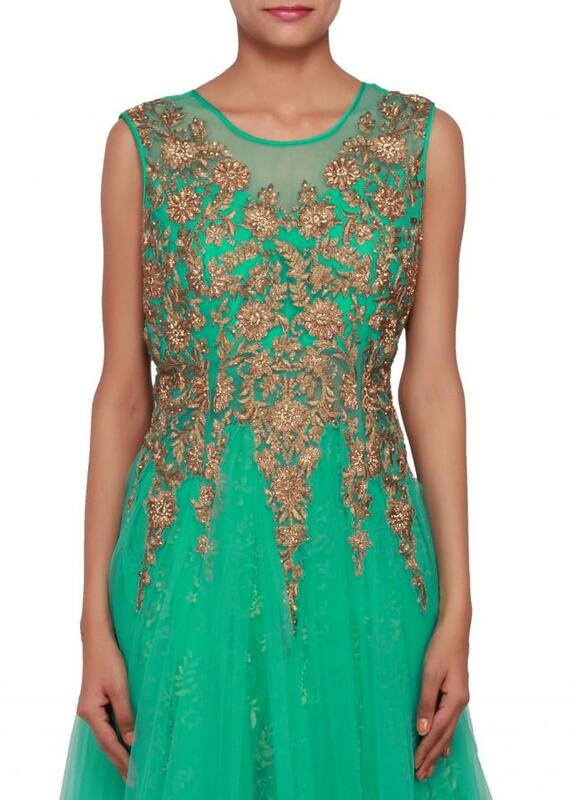 The border is in gold zari. 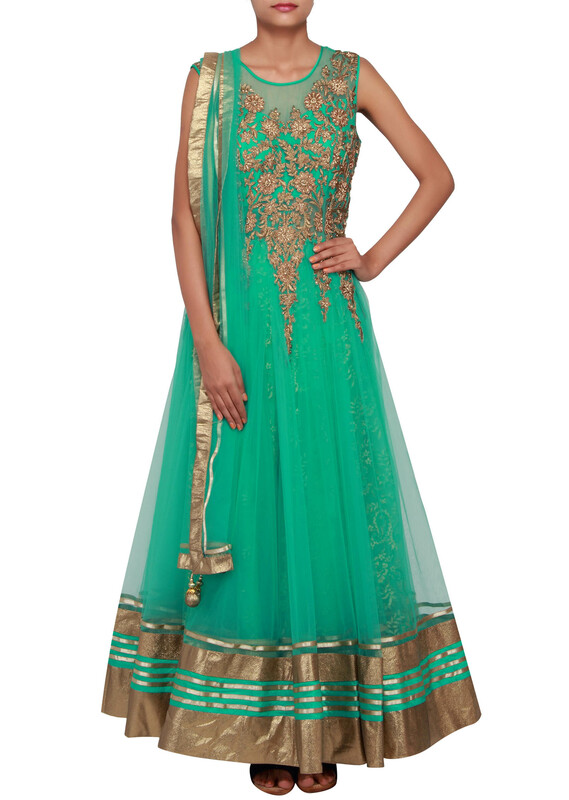 It comes with a mint net dupatta and mint lycra churidaar.